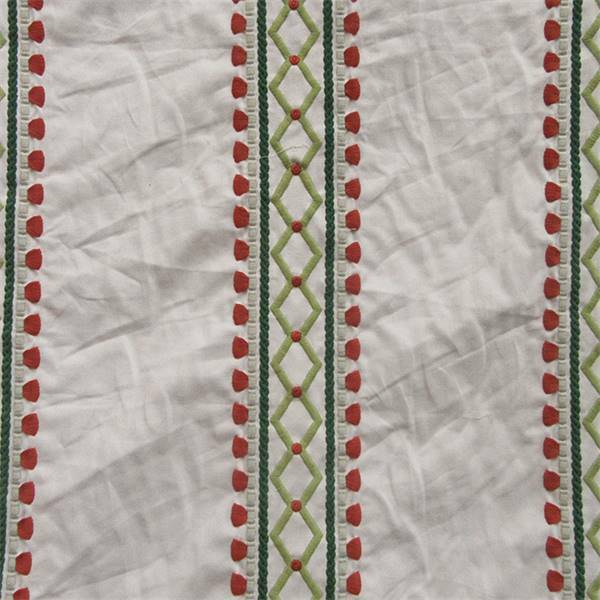 Viva Acapulco in Rhubarb is a contemporary look for an embroidered fabric. 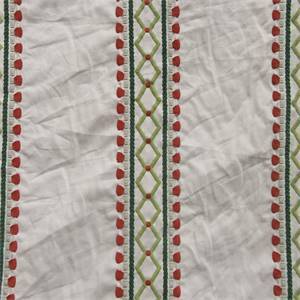 Starting with a solid white base cloth, different shades of green and gray are embroidered to make up the stripes, and there are geometrical shapes in green and brick red inside the stripes. Viva Acapulco is suitable for drapes, pillows, comforters, valances, head boards, and shams of all sizes. Perfect for any room in your home or any office decor.